There’s no question that, at the highest view, humanity and Earth evolve naturally. However, the challenge occurs when life is no longer entirely organic. For example, a plant can absorb too much sun and not enough water, and begin to decay naturally. But if artificial chemicals or dis-ease interfere, then this can accelerate the process or mutate the organism. Now its expression is no longer entirely organic. This is the case on much of the planet, and similarly, our lives can be interrupted by external circumstances and forces. Internal influences such as ego distortions, or inherited genetic distortions can also have an impact on our biology, our perceptions and therefore, our experiences. This is especially important to hold in our awareness now. As a whole, Earth’s consciousness has organically evolved out of the 1st density of the 3rd dimensional Earth (dimensions 1-3) to the 2nd density or future timeline of a higher dimension of Living Light consciousness (5th dimensional Earth). At a subatomic and quantum level, we are in the “in-between” worlds. During our transition to future timelines, we can be vulnerable to the aggressive black/anti-Christ forces that are surfacing to manipulate or possess any energetic weakness. So keeping our energetic body strong is important (use your 12D Shield). Additionally, from now on, as the organic 3rd dimensional timelines come to an end, the only way the NAA (negative alien agenda) can keep Earth and humanity in the lower 3rd dimensional consciousness, as they desire, is through inorganic and artificially manifested timelines. The NAA are using false holographic projections, artificial intelligence, alien machinery, and mind control to vibrate low frequencies into the Earth’s body, and consequently negatively impact those who are asleep and still connected to the 3rd dimensional morphogenetic field. To these groups of humans, it may appear to be life as usual, but it is dead energy and has no connection to God-Source. Our perception will vary relative to our consciousness. When the quality of our experiences are natural and organic we often experience expansion and meaning. Inherent with this flow of nature are cycles, rhythms, and paradoxes. We respect these, and also acknowledge that in order to receive the gift of the next phase before us, we must release attachments to the past. Most critically, the art of living consciously includes the willingness to learn. ‘Easy’ isn’t always the prime quality in our lives, but if we see, appreciate and accept our learning, we create greater ease for ourselves. Our acceptance always leads to taking more responsibility for how we direct our energies and to what or whom we are giving our consent, more conscious choices, and then movement. All new self-awareness opens to our ascension of consciousness and this restores our well-being. These are the times to pay attention because this is where something can be trying to disrupt our timeline and our relationship with our God-self, either on a personal level or through the collective mind: ego fears, mental body distortions, miasma/ancestral blockages, mind control, trauma, karma, and countless other influences. The core low frequency, inorganic energies that continue to be pushed into the field, and then leveraged through the negative alien agenda (NAA) when people engage with them are: victim-victimizer addiction patterns (chakra/dimension 1), sexual misery and distortions, and addictions (chakra/dimension 2), and armageddon/terrorism/cataclysm fears (chakra/dimension 3). We are wise to be vigilant of our thoughts, emotions and behaviours. We may need to clear, upgrade, re-align or reconnect our etheric and physical bodies to override inorganic limitations and restore our organic nature. 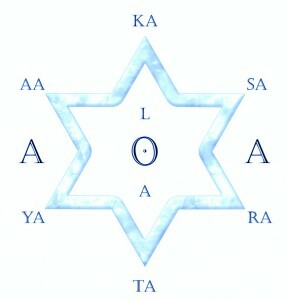 Working with the AoA Hieros Gamos consciousness field, I offer etheric surgery for this exact purpose. While it can seem that “inorganic” encompasses a whole lot of the way we simply experience life, it is important to see the truth of what is and isn’t organic to our nature, and shift our perspective accordingly. Only when we acknowledge that much of what is around us and what we hold in our energy bodies is inorganic will we be able to reclaim that which is rightfully ours as Divine humans. We can consciously participate in our discernment and ask, “Who or what is running my life right now?”, and “Is the source of it organic or inorganic?” This can apply to an experience in the moment or an extended phase in life. If the answer doesn’t leave us feeling inspired, open, uplifted, peaceful, or neutral then likely a negative ego aspect of the self, an entity, miasma/dead light, or some interference is having an influence. If we know how to move into our hearts, we can feel and discern the difference. There is nothing to fear here. Our love is always most powerful. However, our awareness and conscious choice to align with our God-self as our authority makes the difference on Earth now.